Tanzanian conjoined twins Maria and Consolata Mwakikuti are in their last year at secondary school and are looking forward to graduating after their final exams. The 19 year-olds are studying in Iringa Udzungwa in Tanzania's south-west region. 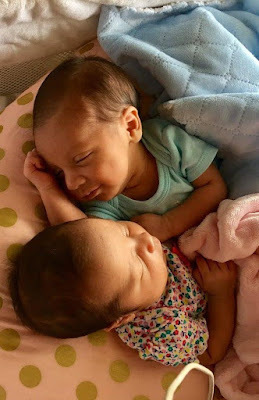 Their mother died after giving birth, their father has also passed away, and they were raised by a Catholic church charity, Maria Consolata, which adopted them and gave them their names. The BBC's Leonard Mubali travelled to meet them. He joined them for a class session and says they were getting on well with their classmates and taking an active part in the lessons. He says Consolata was more talkative and engaged than her sister. Headmaster Edward Fue said he had been shocked when he met the young women last year saying he did not know how to help them because the school did not have special facilities. The school, with the aid of the local government, have now built a special room for them to rest. They also hired a driver to take them to where they live. The reporter says that the girls are against the idea of being surgically separated.